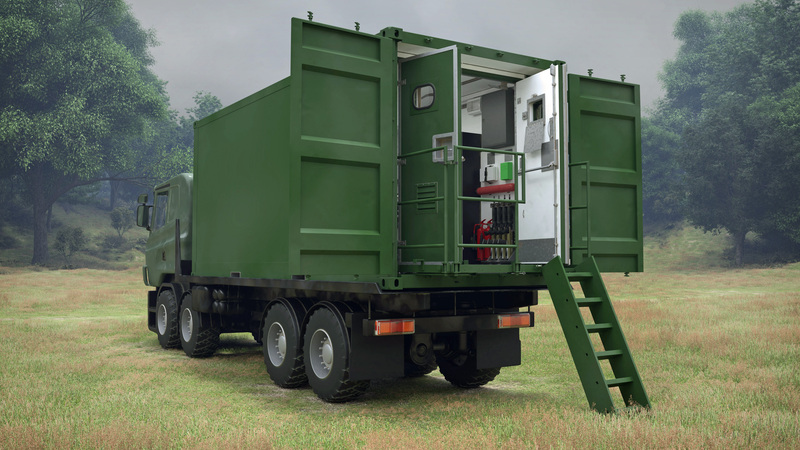 Deployable Office and Stores facilities for the Danish Armed Forces are to be provided by Marshall Aerospace and Defence Group following the award of a framework agreement, the second contract in as many weeks. The Danish Defence Acquisition and Logistics Organisation (DALO) selected Marshall following an international competition to meet the operational requirement of the Danish Armed Forces. This second multi-million pound framework contract calls for an initial supply of containers including fitting out of the units and on-call support as required by the Danish Armed Forces. “This is a real vote of confidence from Denmark in the capability of our Land Systems business and validates our strategy for growth and increasing focus on exports. The contract demonstrates that we have the skills to win international tenders based on our technical competence and pricing structure,” said Alistair McPhee, Chief Executive of Marshall Aerospace and Defence Group. The deployable shelters being supplied will be standardised units fitted with air conditioning, electrical power distribution, and CBRN (Chemical, Biological, Radiological and Nuclear) protection. Marshall will be fitting these with a variety of equipment including generators and ancillary equipment to be used as office, stores or briefing facilities. This is the third export contract Marshall has won for deployable infrastructure in the last three months.